Styled with milo sweater and trevor pant . 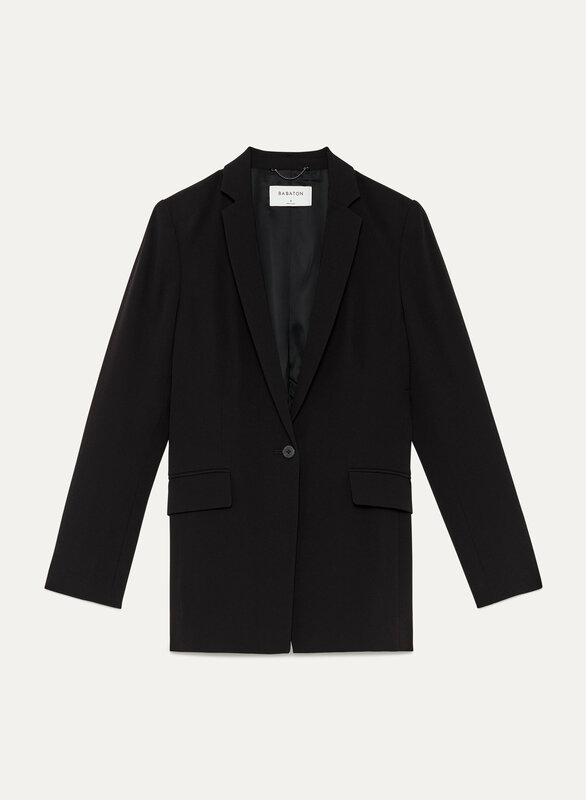 This blazer is made with a luxe satin-back crepe that drapes beautifully. The narrow lapel looks refined and feminine. Princess seams and light shoulder padding create a flattering shape and tailored fit. This is the perfect blazer. It’s streamlined but enough slouchiness to feel comfortable and effortlessly cool. Great for work but also with jeans.